Plains began in 1981 as a small oil and gas exploration and production company called Plains Resources. Today Plains All American Pipeline engages in the transportation of crude oil and refined products, as well as in the storage of natural gas, and the processing, transportation, fractionation, storage, and marketing of natural gas liquids. Plains All American Pipeline required insulation on a crude oil ground storage tank at its Carr, CO facility. The RIDGLOK ® Insulation System will help to reduce the costs for maintenance in the future. The RIDGLOK ® system was installed without having to take the tank out of service. 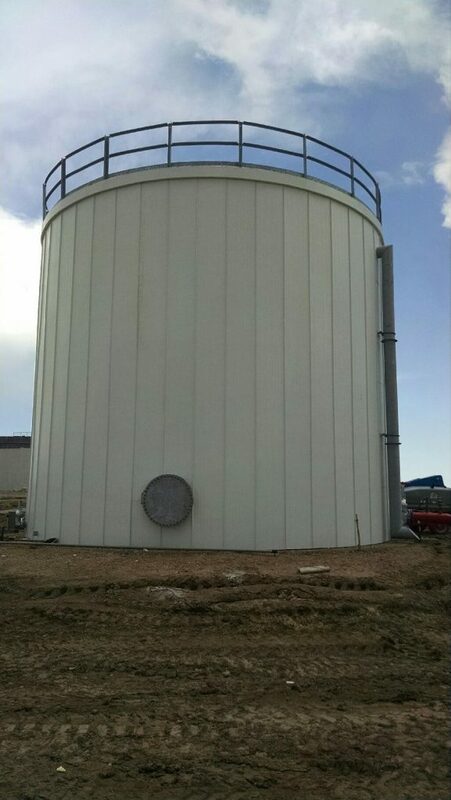 MC&I manufactured and installed the RIDGLOK ® Vertical Standing Seam Insulation System on the 29.7’ x 25.18’ Chimed Crude Oil Storage Tank. The job was completed on time despite the site being shut down multiple times due to thunderstorms in the area. The Field Operations Manager for the project was satisfied with both the crew and the RIDGLOK® panel system stating that both were “excellent.” He stated he would recommend both. 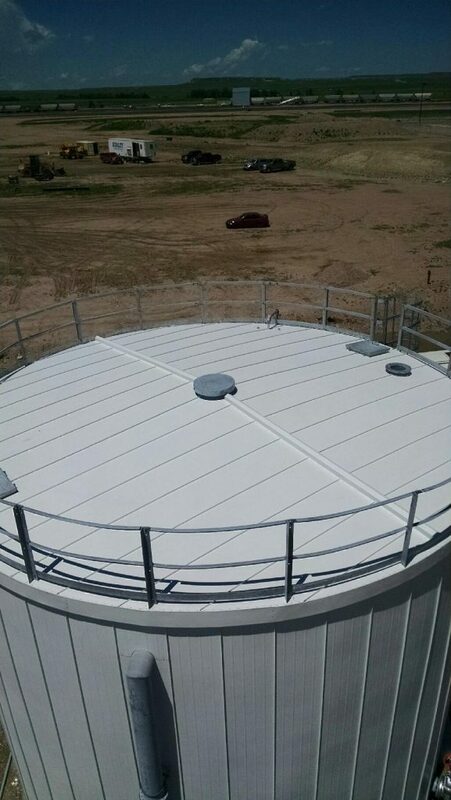 This RIDGLOK® Vertical Standing Seam Panel Insulation System was installed on a Chimed tank for Plains All American Pipeline located in Carr, CO. 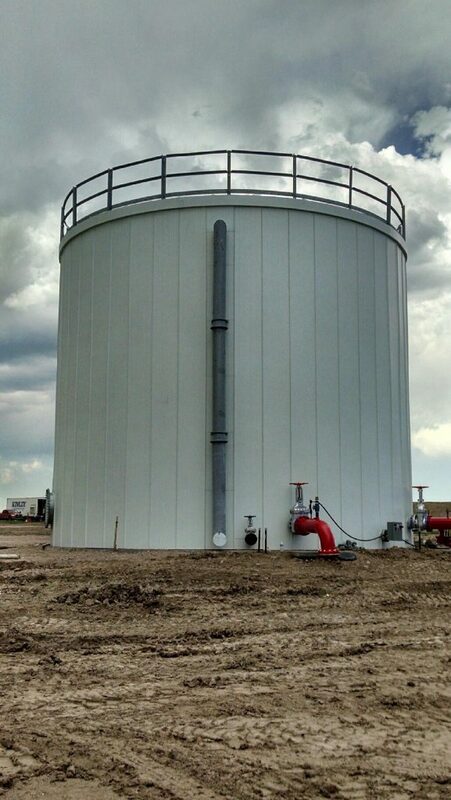 The tank was utilized to hold crude oil at an oil gathering facility. Crude oil gathering systems are defined as both the flow line networks as well as the process facilities. Together they transport and control the flow of the natural gas or oil from its origin point at the well site to a main storage facility, a processing plant, or a shipping point. The tank was a 29.7’diameter x 25.18’ high chimed bolted tank. The project was completed on June 17, 2015. The RIDGLOK® Insulated Panel System consisted of 0.024 stucco-embossed aluminum metal jacketing), in white, laminated to 3” of polyisocyanurate insulation board with an R-value of 20.3, using a cone roof system. MC&I is the proud manufacturer of the RIDGLOK® Vertical Standing Seam Panel Insulation System for ground storage tanks. RIDGLOK® insulation systems are engineered to be energy efficient, durable, and cost effective. RIDGLOK® can be used for both heated and cold storage applications without the need for taking tank out of service. This tank insulation system can be applied to all types of tanks, including flat bolted, chimed bolted, glass lined, fiberglass, welded, stainless steel, and concrete. ADVANTAGES The RIDGLOK® vertical standing seam panel insulation system is a smart and efficient thermal barrier, helping save money on utility costs of heating or cooling the tank. Insulate your tank with RIDGLOK®!